The construction of the then-largest dam in the world: how was the construction of the dam achieved and what is its legacy today? 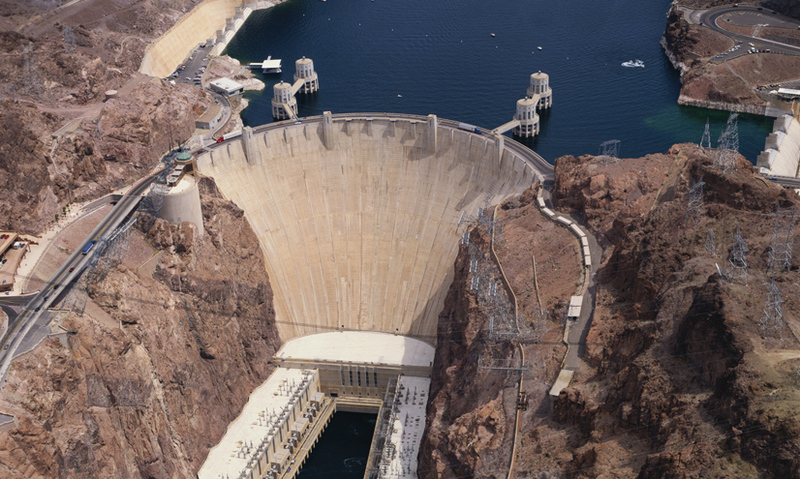 The Hoover Dam was built in the 1930s in Nevada, USA, and is one of America's largest hydroelectric power facilities. The dam provides power, flood control and irrigation. The dam altered the ecology of the downstream river habitat. The building of the Hoover Dam took five years and it was very dangerous for the workers. In 1930s America, during the Great Depression, thousands of men travelled to the Nevada desert to build what President Hoover would call "the greatest engineering work of its character ever attempted by the hand of man".